The end of summer means football is here and the magnificent fall golf season is just around the corner. I fully acknowledge that I am susceptible to sometimes wanting it too much. This applies to my golf game just as much as the rest of my life. I try to keep perspective; sometimes it works, sometimes it doesn’t. I knew going into this swing reconstruction process was just that, a process, which would require time and work. Despite knowledge of this reality, patience remains elusive. 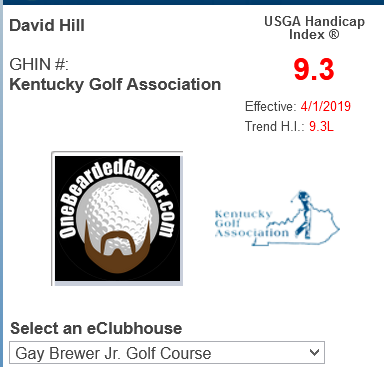 Some of my early season successes with my new swing yielded some encouraging results, which led me to wanting to speed up that learning curve and to have reached my peak by midsummer. That particular fantasy proved folly. Some things are good and consistent with my swing and my game, namely my ball striking with my irons. Other parts of my game (short game and hybrid play) are serviceable, meaning some days are better than others. Getting off the tee box, however, has pushed me to my wit’s end over the past month or so. I had bottomed out at a complete loss mentally and mechanically. I was alternating between low pull-hooks and wild, high pushes and slices. Maybe 3 in 10 drives being a borderline serviceable shot. This is the mental baggage and confusion with which I entered my 9th golf lesson. Mike, my golf professional, watched me hit a handful of drives. Nothing jumped out at him that I was obviously screwing up. My set up was good, my grip was correct, my tempo was pretty good. After observing from a different angle, he found a couple of things to adjust and, surprisingly, an equipment change that would help me tremendously. I’d gone overboard on preventing the club from going back too far inside, which created a whole new set of problems. The adjustments to the swing were minor, subtle changes that I just couldn’t figure out on my own. And, predictably, because my mind believes that “if some is good, then more is better,” most of Mike’s suggestions were corrections to things I had overdone or over-corrections of a past problem. The first thing Mike suggested I try was to change the way I take the club back. The Scared Straight Drill had corrected me from taking the club back too far inside on every swing, thus eliminating my pronounced hook swing. However, I’d taken that concept too far and was getting the club started back too far away from my body. 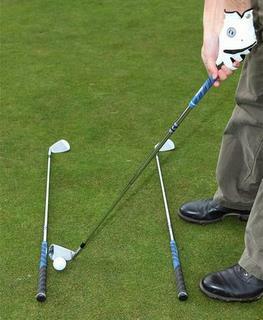 The fix: to feel like I was taking the club back from address by moving my hands across the top of my right thigh. This move gets me on plane on the way back when executed correctly. The next thing Mike suggested was to really concentrate on flattening my left wrist at the top of my backswing. I’d struggled with how to execute this move since he first suggested it several lessons previously. I knew what a flat-wristed position looked and felt like at the top of the back swing, but I’d never figured out how to get there from address without completely screwing up my grip, my backswing path, or both. I’d seen this picture hundreds of times without really knowing how Hogan did it, until now. 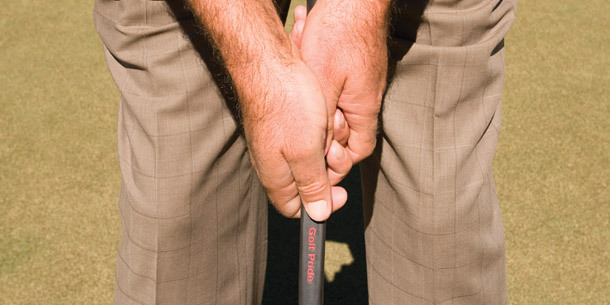 The fix: on the way back, I should feel like I roll my left pinkie finger underneath the club. That simple description was all it took for me to figure out how to get to a flat left wrist and right palm to the sky position at the top of my backswing, without looping the club or screwing up my grip. 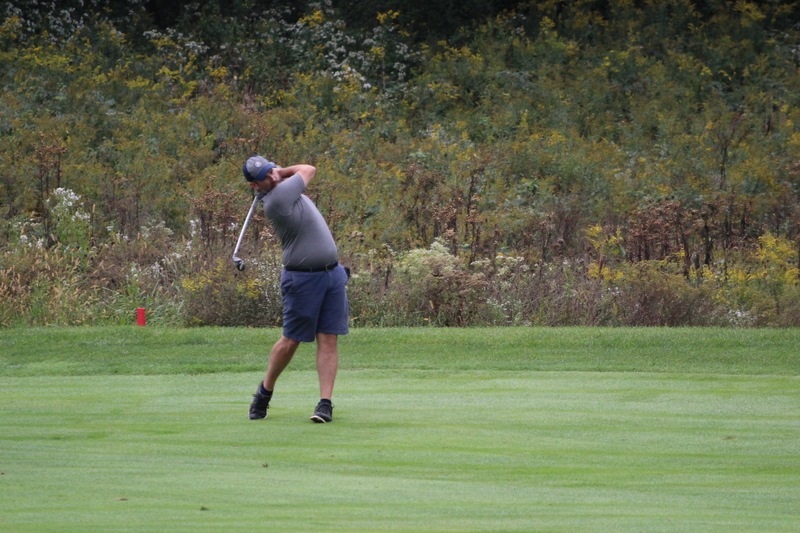 It really was like I’d been taught a “magic move,” as my ball striking with my driver (and all the rest of my clubs) instantly improved significantly. Next, with my takeaway motion corrected, Mike discussed how and why I needed to maintain firm grip pressure throughout my swing. 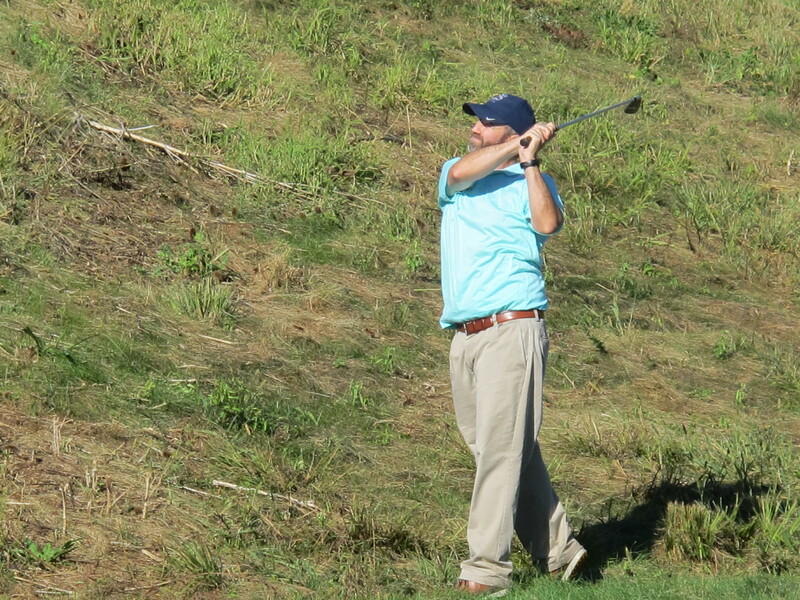 In an effort to generate lag and try to get my hands in the correct position, I’d developed a tendency to let the club get loose at the top of my swing. Though occasionally I would time this disaster correctly and smash the ball, the 8 out of 10 times I wasn’t perfect, the club would be too loose in my hands on the way to the ball, making hitting the ball in the center of the clubface impossible. 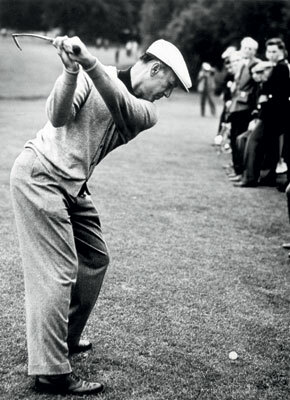 The fix: take the club back slowly, in tempo, with my hands and forearms firmly grasping the club firmly throughout the swing. Finally, I’m a firm believer that 99 out of 100 times, when something has gone awry, the problem is the mechanic, not his tools. However, Mike discovered something I’d inadvertently overlooked about my driver, specifically. This one instrument has caused me more consternation than the rest of my clubs combined. 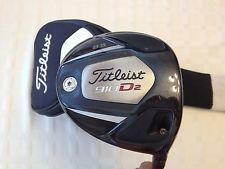 I use an 8.5 degree lofted Titleist 910D driver, which I’ve used since I received it from my groomsmen as a wedding present three years ago. It remains the only adjustable club I’ve ever had, as I’m not much of a tinkerer or equipment junkie. Apparently, at some point, I tried to correct my prior swing faults by adjusting the trajectory bias of my driver to favor a low draw. As I set to work to building my new swing, I’d never bothered to inspect or review was on a setting incorrect for my new swing. As my swing now made a slight draw my natural ball flight, I definitely didn’t need any extra help from my golf club to accomplish that objective. Moreover, at only 8.5 degrees of loft, I certainly didn’t need much help developing a low, penetrating ball flight. On the contrary, I need a little help getting the ball in the air. The fix: simply adjusting my driver back to a neutral bias position. Processing, discussing, and implementing these simple changes took only 20 minutes. 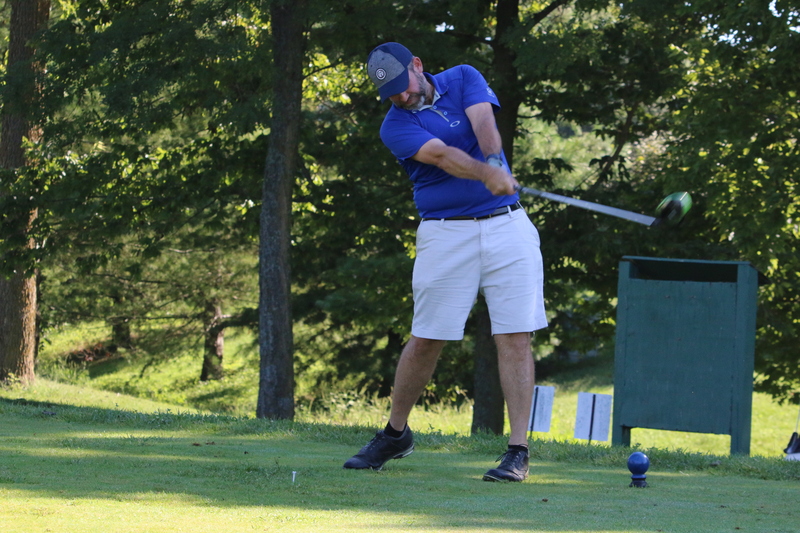 In just that amount of time I’d gone from completely lost to booming consistently solid drives, occasionally even catching the ball on the sweet spot, creating the compression that the golf swing is supposed to produce. No more right index finger pointing down the shaft, and just a simple 2-count made a world of difference. Beaming with confidence, Mike and I headed to the putting green, where he asked made one small change to my putting grip by making me wrap my right index finger around the club. He also put me on a 1, 2 tempo count for all my putts, which instantly eliminated my propensity to ground the putter and resulted in consistent, solid contact. The result of all this minor tinkering? I played the same golf course the day after this lesson that I’d played two days before the lesson and cut 16 strokes off my score. Most of that is actually attributable to markedly better putting. 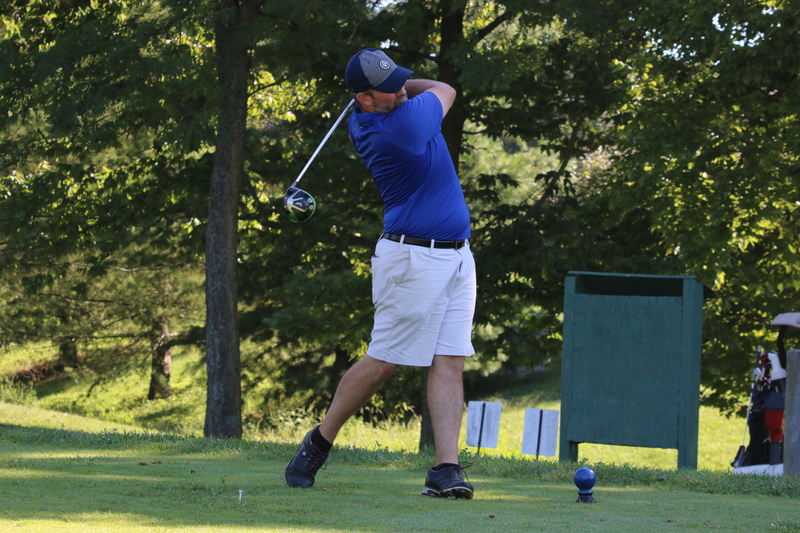 However, coming down the homestretch, trailing in two presses and the overall round still in play on the day’s $2 Nassau, I was able to boom my five best drives of the day under pressure. So, yeah, I guess what I learned and was able to put into practice actually made a difference. Thanks Brian. Yes, it was a lot of little light bulbs going off in rapid succession. Also, we talked about that from here on in, it’s going to be little adjustments, which may be more frustrating than the big, structural changes earlier on. But for today, I’m thrilled. That is fantastic! Mike sounds like an amazing club pro! 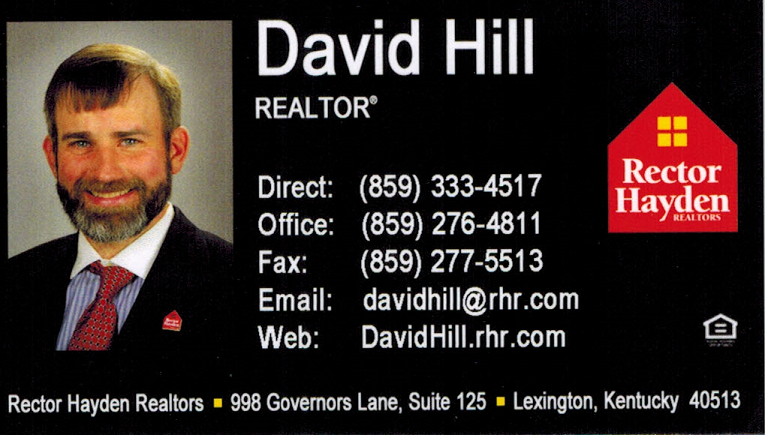 You are lucky to have found someone who you work well with…. Jim, I’ve been very fortunate that Mike’s teaching style has really clicked with my personality. More so than the technical information, that we’ve been on the same page with regard to expectations throughout the process has been a blessing. 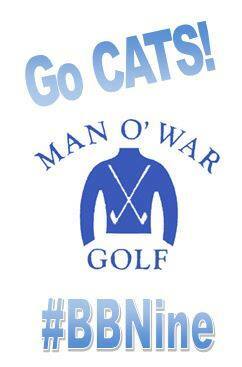 We really lucky to have such a fantastic facility like Man O’ War Golf here in Lexington.